Boxes is a simple GNOME 3 application to access remote or virtual systems. It is based on a design from Jon McCann and Jakub Steiner. 1 user responded in " Gnome Boxes – Manage & Access Remote or Virtual Systems "
Have you test this app in Precise? 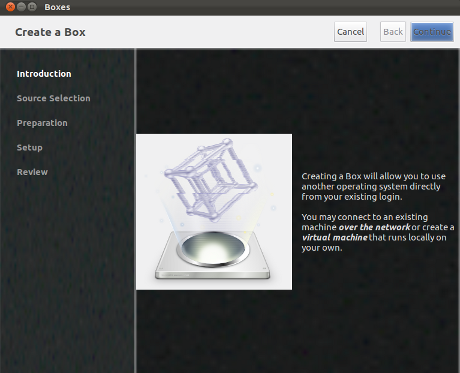 If yes, could you tell us if this software can/could use *.vdi virtual machines from Virtualbox? Thanks and congratulations for your site!